Whether working or holidaying, you can rely on our premium quality range of robust, heavy duty expedition roof racks. 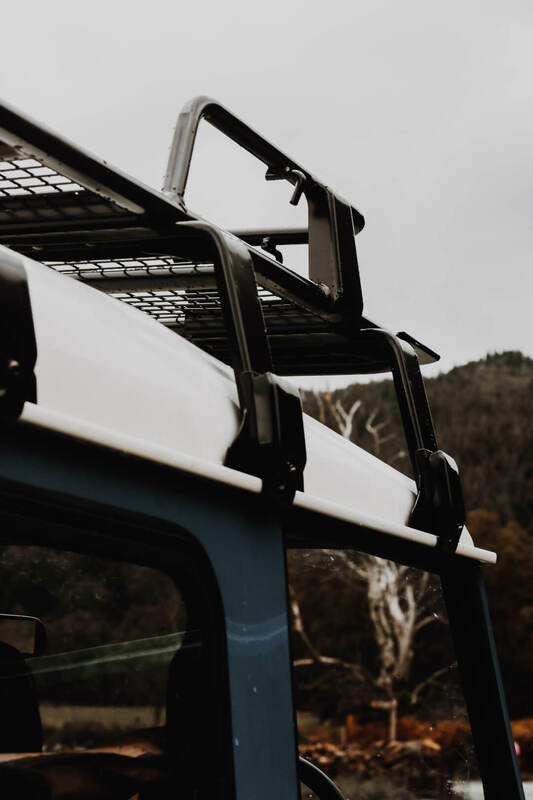 Built to last and designed for demanding tradespeople and active lifestyles, our premium quality heavy duty powder coated aluminium and steel expedition rain gutter roof racks will help you to transport anything you care about safely and securely. With multiple sizes and configurations available for purchase, these roof racks easily fit on to most vehicles of an appropriate size with a rain gutter. 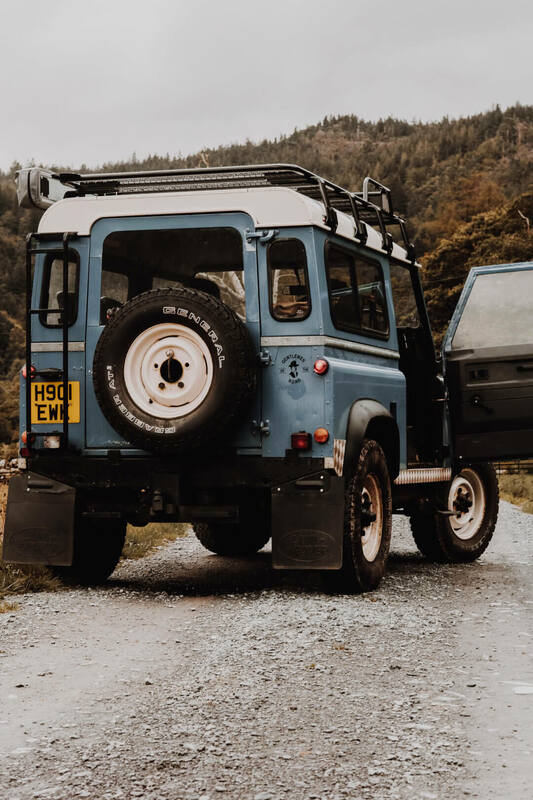 We fully appreciate that choosing the right expedition roof rack for your specific needs is an important decision and we are here to answer your questions and offer advice. Which Roof Rack Is Right For Me? 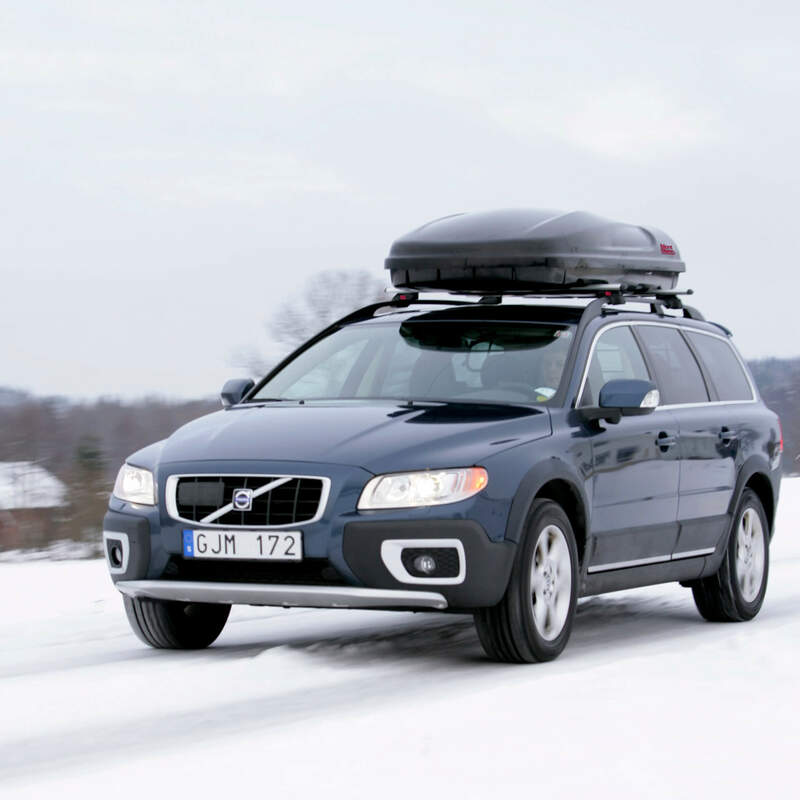 First, decide what you want to do with your new roof rack, both now and in the future. Is your roof rack for work or recreational use (or both)? 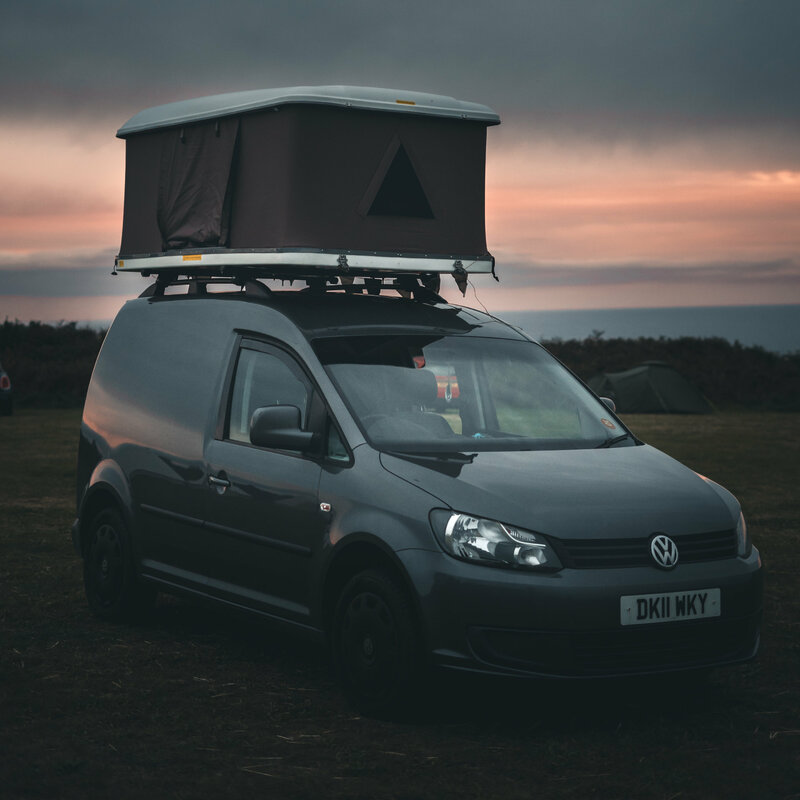 What do you want to achieve with the new roof rack? Do you want to fit accessories to it such as rooftop cargo/luggage boxes, vehicle side awnings, expedition rooftop tents, cycle carriers, spotlights etc. Once you have thought about this, you can let our sales team know along with the details of your vehicle and they will be able to recommend a roof rack to suit your needs and lifestyle. Both the steel and aluminium versions of our heavy duty expedition rain gutter roof racks are built to a very high standard. They are all powder coated in a stylish black and they can all safely carry up to 200kgs. 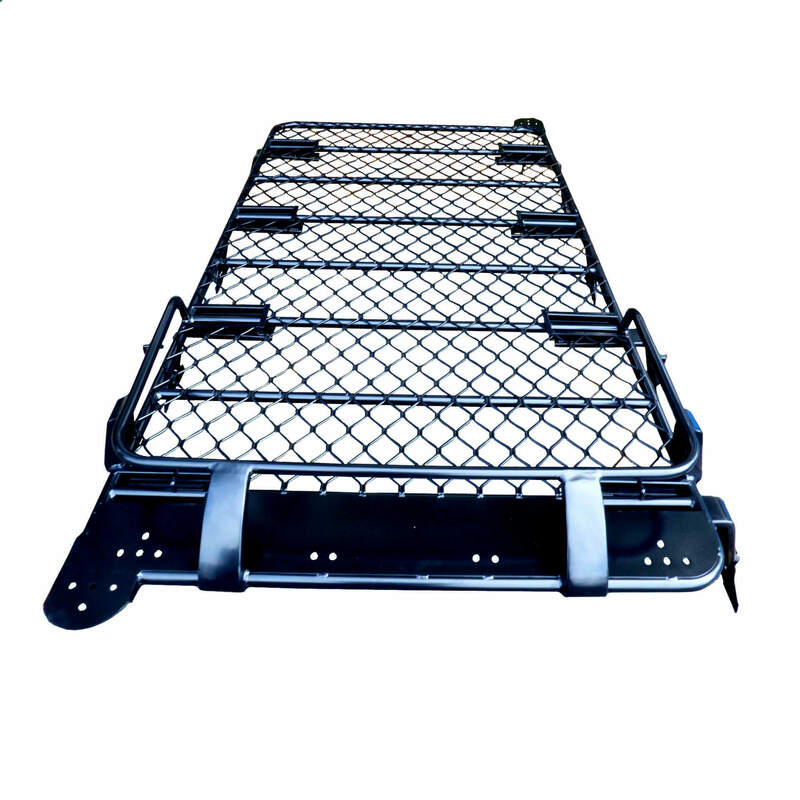 The steel roof racks have a straight square grid mesh base and the aluminium roof racks have a diagonal diamond shape mesh base. The aluminium versions are considerably lighter (circa 50%) than their steel counterparts which means that they are easier to fit and transport and there will be less weight on the vehicle itself. 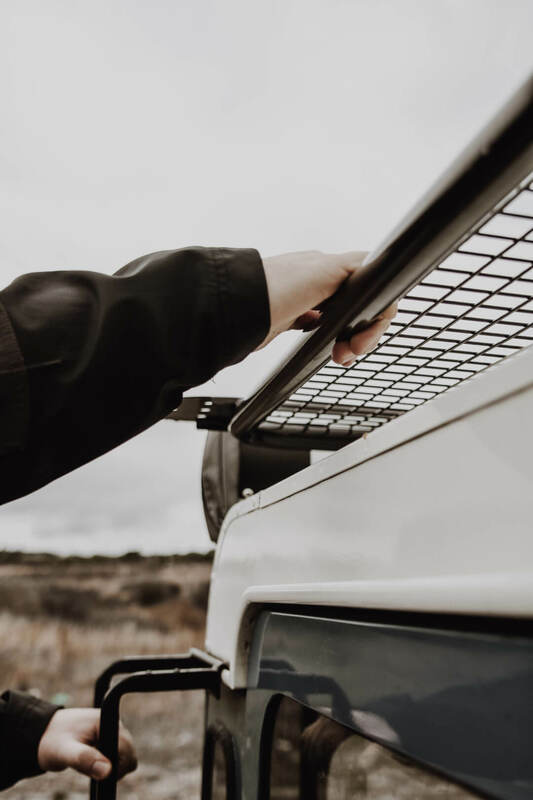 Apart from the roof racks designed to fit the Land Rover Discovery and Volkswagen Transporter models, our expedition rain gutter roof rack range is designed for convenient universal fitting to all large vehicles with a rain gutter, which the brackets then attach to. The Land Rover and Volkswagen specific models fit into pre-existing bolt holes in the vehicle's T-track system. 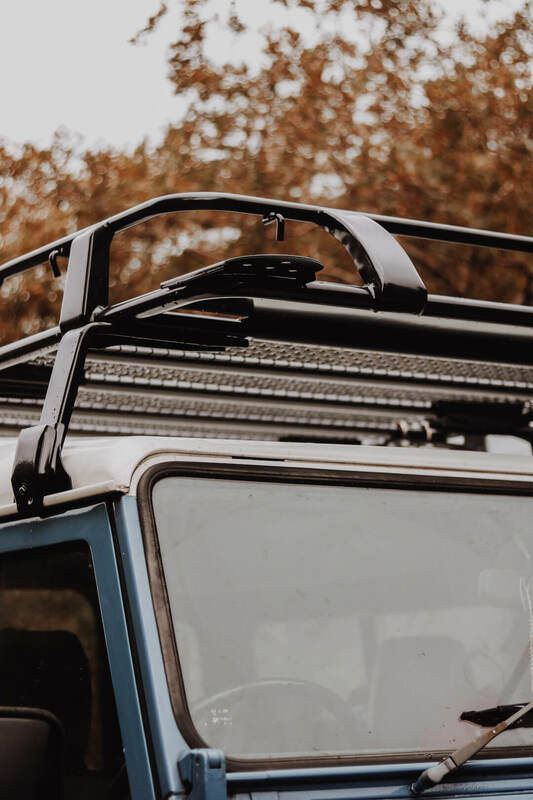 All of the universal roof racks come with either 5-inch or 9-inch rain gutter brackets, catering to all standard vehicle roof heights. If you have any doubts about fitting any of our roof racks to your vehicle, please contact our sales team directly who will be happy to advise you further. How Do They Fit To My Vehicle? Fitting our roof racks shouldn't take too long but will require 2 people to safely lift on and off the roof. 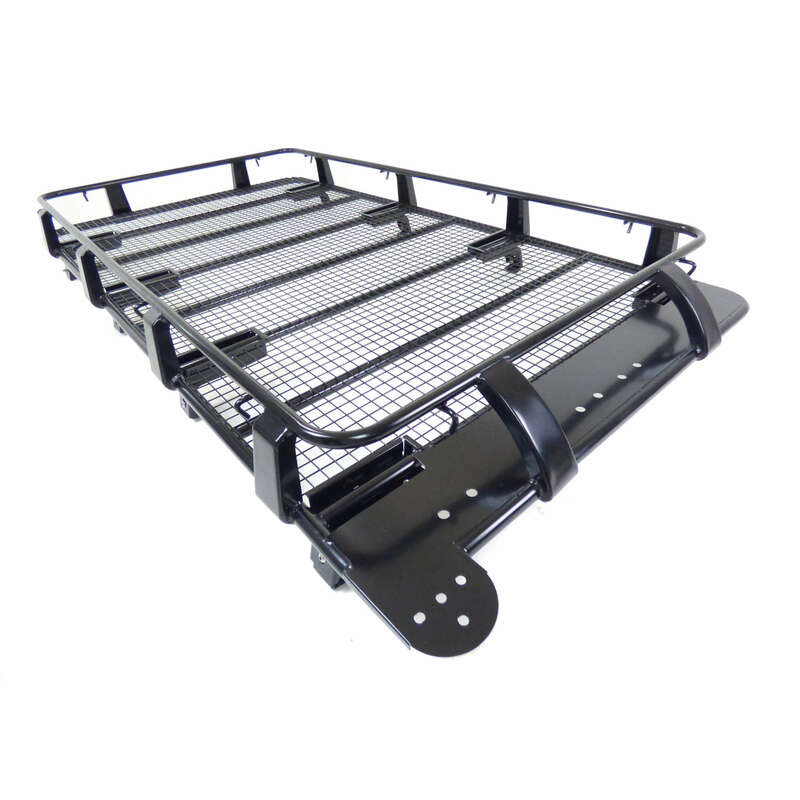 Each rack comes with either 3 or 4 rain gutter L-shaped brackets down each side of the vehicle. 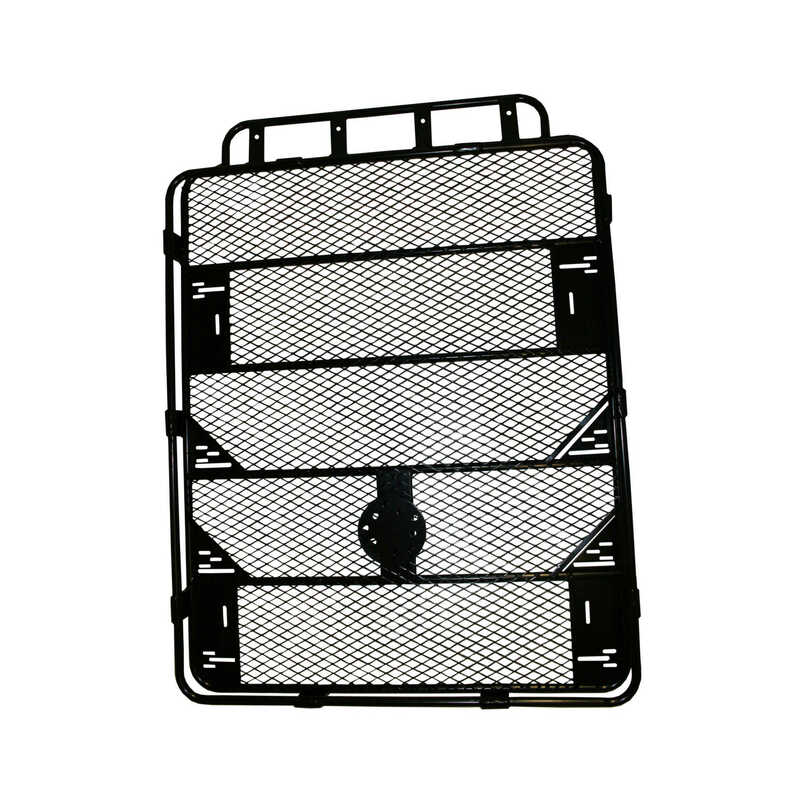 These come in either 5-inch or 9-inch lengths, depending on the height of your vehicle's roof, and they can be moved along the rails to fit the width of your specific vehicle. The Land Rover Discovery 3 and 4 versions use feet which bolt on to the roof channels directly using pre-existing holes. After fitting these brackets, you are ready to lift the roof rack onto your vehicle, (just remember to open all of the doors on the vehicle so that you can make sure that your bracket fittings do not interfere). If you require any help or advice, just get in touch with our sales team. ► Available in 2.4 & 2.8m lengths. ► 4 rain gutter brackets down each side of the vehicle. ► 5 & 9-inch high brackets available. 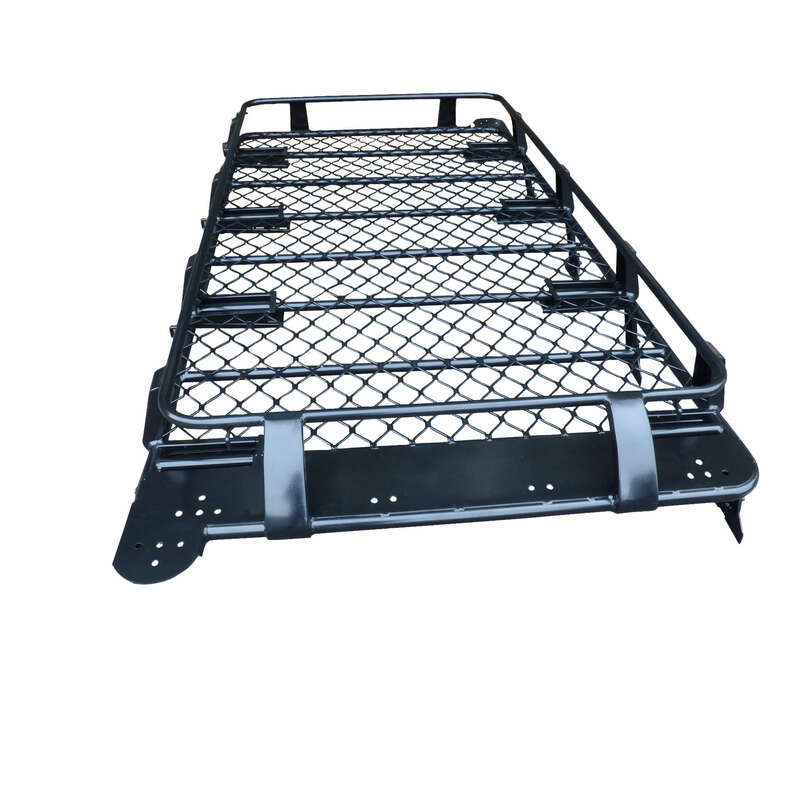 ► Completely flat bed allowing you to carry wide items. ► Perfect for our expedition rooftop tents. From £384.99 inc. VAT & delivery (UK mainland). ► Available in 2.4 & 2.5m lengths. 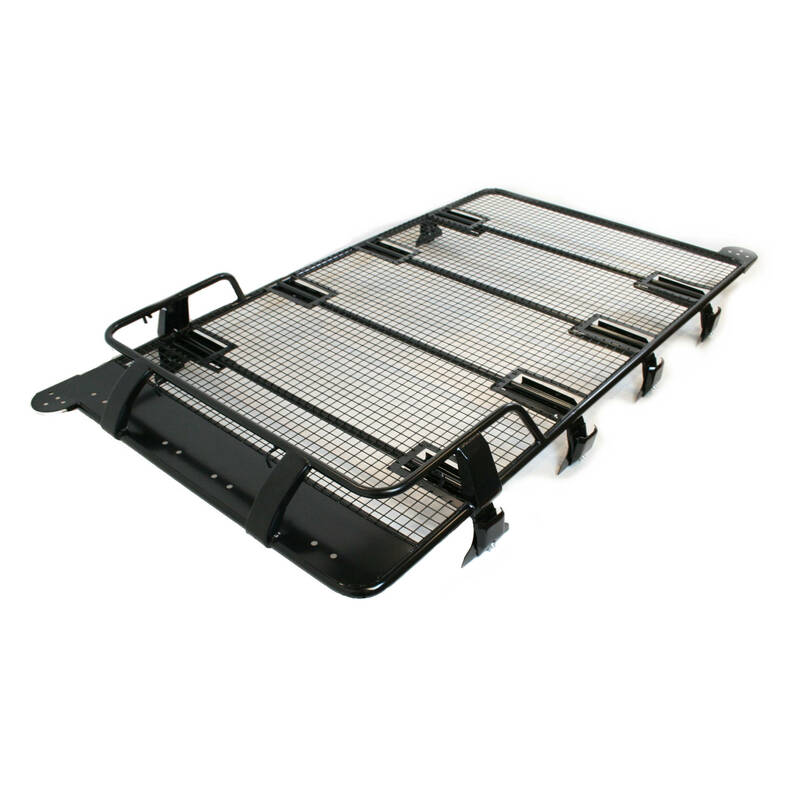 ► The 2.5 m version of this roof rack is ideal for theLand Rover Discovery 3 & 4. ► Front rail protects front cargo, wider cargo at the back. 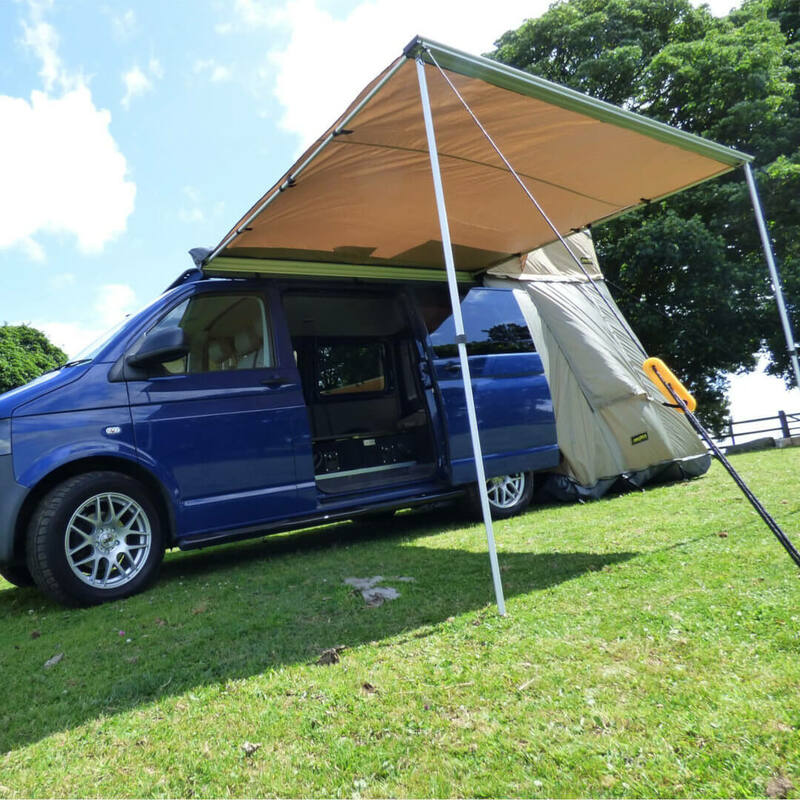 ► Perfect for our expedition side awnings. From £417.99 inc. VAT & delivery (UK mainland). ► Available in 2 & 2.5m lengths. ► 3 0r 4 rain gutter brackets down each side of the vehicle. 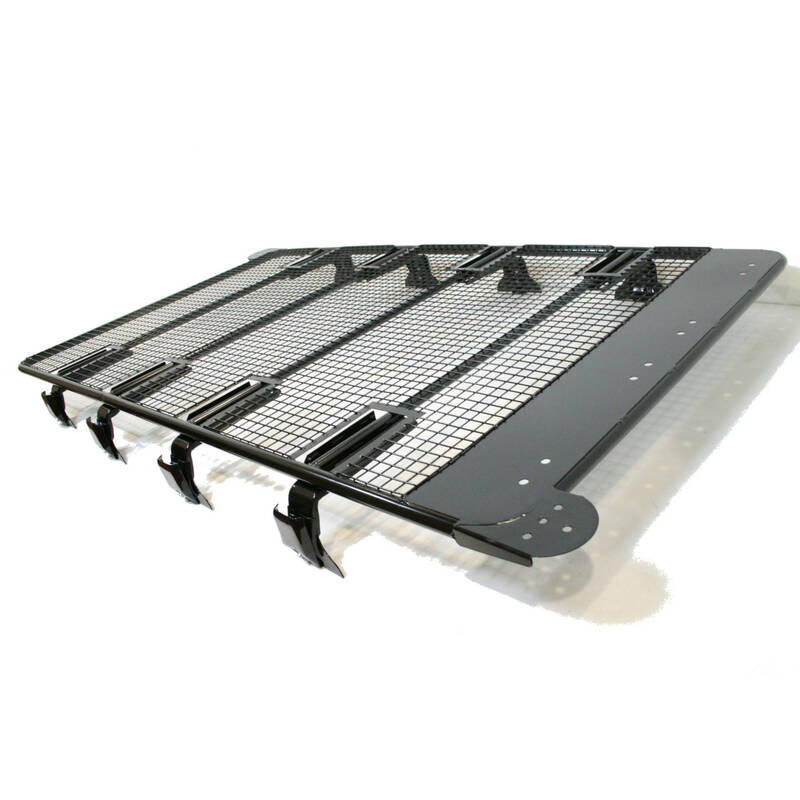 ► The 2.5m version of this roof rack is ideal for the Land Rover Discovery 3 & 4. ► Allround basket to hold luggage and other goods securely. ► 50% lighter than its steel counterpart, same load capacity (200kg). ► Ideal for Land Rover Discovery 3 & 4 (2.5m). From £649.99 inc. VAT & delivery (UK mainland). ► 3 or 4 rain gutter brackets down each side of the vehicle. From £549.99 inc. VAT & delivery (UK mainland). ► Spare wheel mounting bracket in the middle of the basket. ► 3 rain gutter brackets down each side of the vehicle. ► Designed to fit the Land Rover Discovery 3 & 4 T-track system. ► Space for multiple spotlights on front subframe. From £323.99 inc. VAT & delivery (UK mainland).